Link your DataCamp and GitHub accounts so you can begin building DataCamp content! Visit our course editor, Teach to begin. 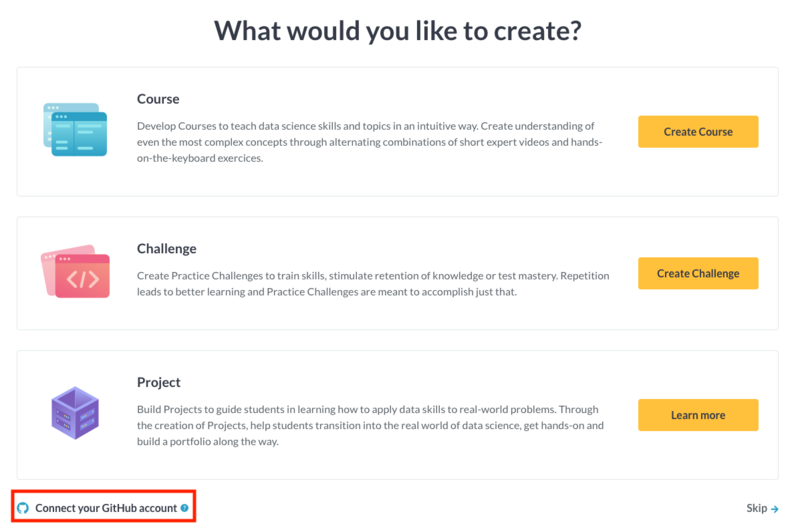 If you see a dashboard with the name of your course, project, or challenge, your account are already linked! If not, click "Connect your GitHub account" in the bottom left of the screen. 2. The next page will give you a short rundown of how you'll use GitHub to collaborate with DataCampers and build your content. Click the "Link your GitHub account" button. 3. This final page will redirect you to GitHub. Click "Link GitHub account" . 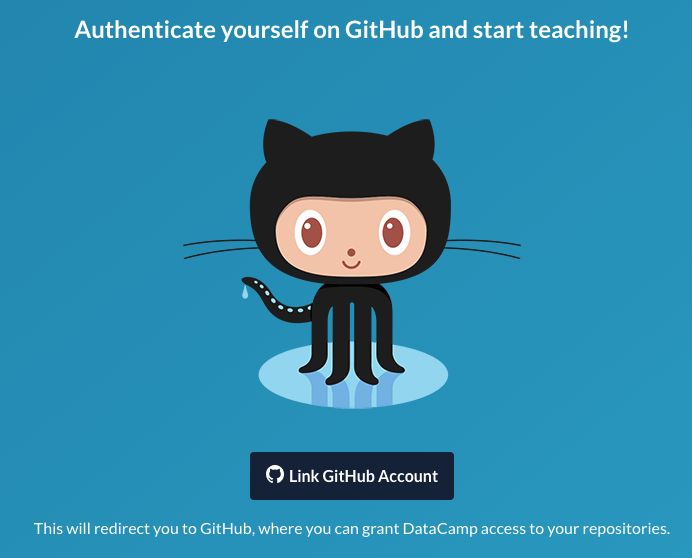 Walk through the GitHub authorization procedures to allow DataCamp access to your GitHub account. Once your account is linked, you can head back to Teach where you should now see a dashboard like the one below with your course, project, or challenge listed.